positive impact of recycling and sustainability, Teddy Frain, VP of Sales and Marketing at the West Chester-based packaging company, Unipak, in partnership with the Paperboard Packaging Council, presented the Trees Into Cartons, Cartons Into Trees (TICCIT) educational program on April 25th, 2014. 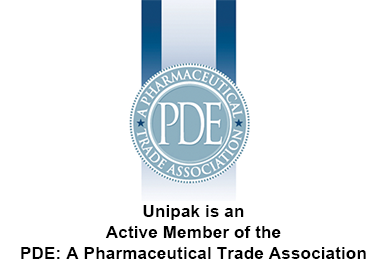 The Downingtown, Pennsylvania, school welcomed Unipak’s annual presentation with excitement and Frain introduced the program to a new group of fourth graders. The 93 students who participated in this year’s event learned through an interactive presentation, which provided information and statistics on recycling and sustainability, and stressed the importance of planting and preserving trees. After learning about the lifecycle of cereal boxes and paperboard, Frain took the students outside where they planted saplings in milk cartons (which they saved from lunch) and were encouraged to take the saplings home to be planted. Unipak Inc. is a leading folding carton and rigid box manufacturer located in West Chester, PA and serving the immediate region. Unipak uses the finest technologies to ensure every package meets quality standards. The company has earned us a reputation for excellence and value in some of the most brand-conscious packaging markets: food and confections, pharmaceuticals and healthcare, cosmetics, entertainment and media and specialty consumer goods such as crystal, glassware, apparel and board games. This entry was posted in News on May 1, 2014 by creativemms.